Settle back and test your memory of television in the early years, or listen up if you were born too late to enjoy this classic turn of events in modern technology. Television in 1950 was in its infancy, and it replaced sitting on the floor staring at your radio listening to great entertainment. 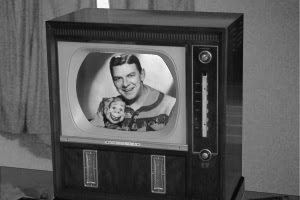 Weekly tv shows like Howdy Doody as shown in the photo, or other great hits like Flash Gordon were just fantastic! Yes, youngsters… we only had black and white pictures then. What passed as quality shows of the time would be laughable now, but recalling some of the special effects of early television still brings a huge smile. We do forgive you Flash Gordon. Who can forget the shaky motion of that rocket ship jiggling across the screen with no attempt to hide the very obvious visible strings? Cowboys on horseback chasing the bad guys did not aim and shoot. For dramatic effect the pistol was brought back even with the ear and then pumped forward and shot as the arm was fully extended. This technique has yet to be taught at any police academy. Street level gunfights were pretty cool, too. The budget did not allow for retakes, so sometimes the good guy would shoot once, and 2-3 bad guys would fall down! Oops… not my turn?